The Laboratory for Advanced Microscopies is a shared campus facility used primarily by the departments of Biology, Geology, Neuroscience, Physics, and Chemistry. 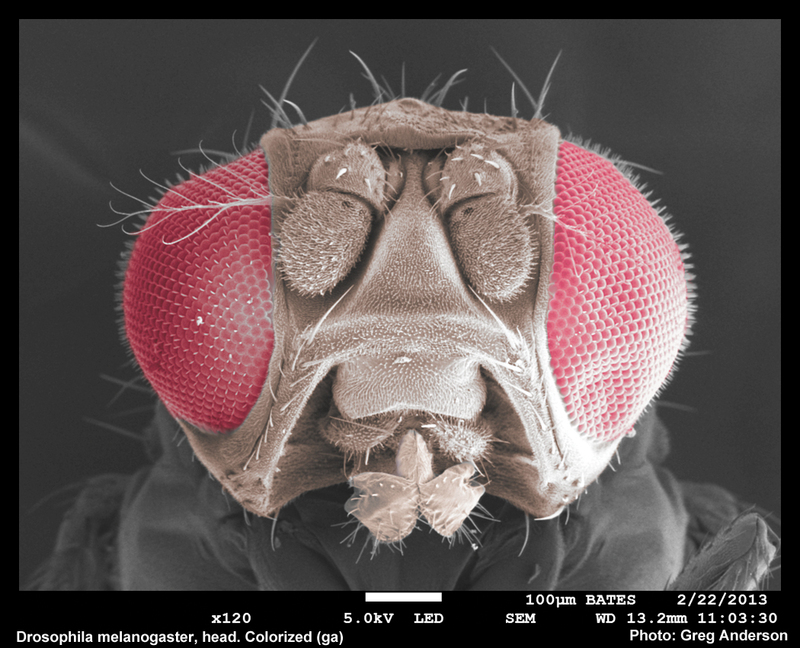 Wildtype Drosophila melanogaster head. Colorized post-acquisition using Adobe Photoshop. During fall 2012 the lab acquired a new FE-SEM/EDS system funded in large part by a Sherman-Fairchild Foundation grant to Bates College. The college has purchased a JEOL JSM-7100 FLV variable vacuum field emission SEM and a Thermo/Noran System 7 EDS system. 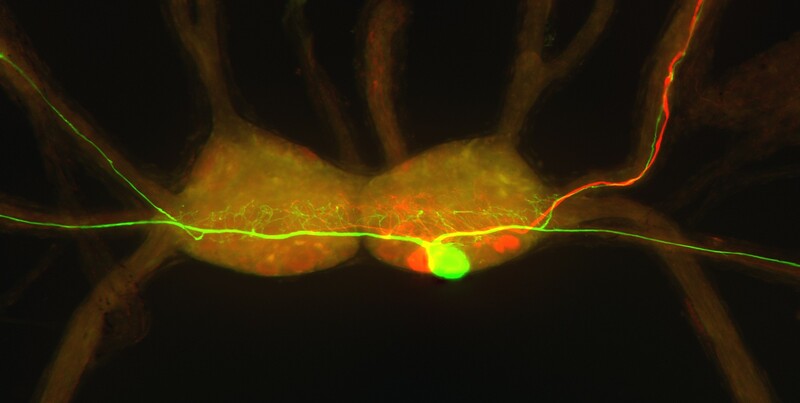 In the fall of 2014, a new Leica SP8 Laser Scanning Confocal Microscope came on line which was funded by a NSF-MRI grant to Larissa Williams, Matt Cote, Nancy Kleckner, and Travis Gould. As part of a STEM facilities upgrade, in summer 2018 the light and fluorescence microscopes from the Imaging Center were moved into the Advanced Microscopies Laboratory to create a true microscopy center. We look forward to training our students on these up-to-date technologies and welcome the expanded opportunities for innovative teaching and research that the new instruments will bring! Confocal image of buccal ganglia of the tropical pond snail, Biomphalaria glabrata.